There are all sorts of system and file management utilities for Windows and Mac computer, but a lot of mobile app developers are just starting to realize that smartphones need system cleanup, security and file management tools too. Systweak is the company that was one of the first to start developing all sorts of utility apps for Android and iOS. We’re already reviewed their Duplicate Photos Fixer and today we’re going to have a look at their app called Duplicate Files Fixer. Duplicate Files Fixer is an Android app that can help you find and delete all types of duplicate files from your Android device. It’s quick, easy to use and can be a lot of help if you want to save space on your phone’s memory or SD card. Duplicate Files Fixer has the set of features you need to find duplicates, preview them and delete them. 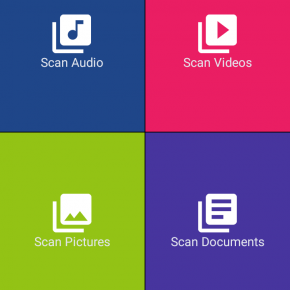 There are modes for scanning for duplicate pictures, music files, videos and documents. There’s also an option to do a full scan of your device. 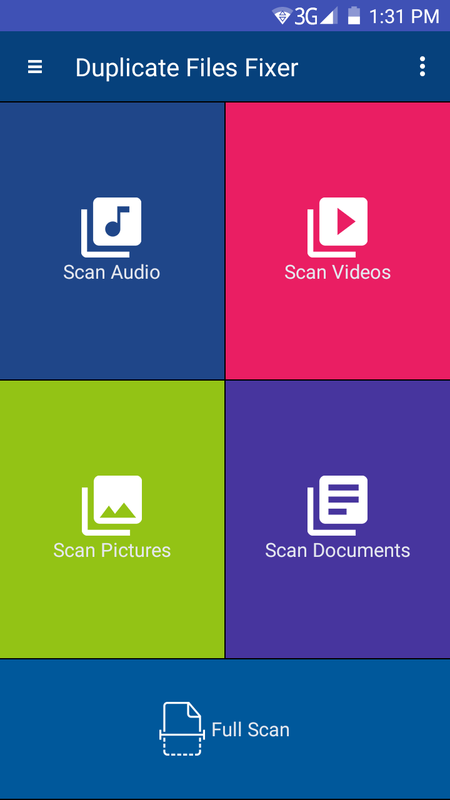 The scan usually takes about a minute and you can then review the scan results and decide which files to delete. Duplicate Files Fixer sorts duplicate files by groups and pre-selects all files but one in each group. If you want to examine each file in detail, click on it and select a program with which to open it. If there are folders you don’t want to scan for duplicates, you can add them to the Ignore List. There’s also a set of filters you can use to further customize your search. The great thing about this app is that it can compare files by content, which means that the chance of marking files that are not duplicates as duplicates is pretty non-existent. Duplicate Files Fixer has a really nice design and is very easy to use. If you’re not sure where to start, you can swipe the menu to the right and watch the tutorial. 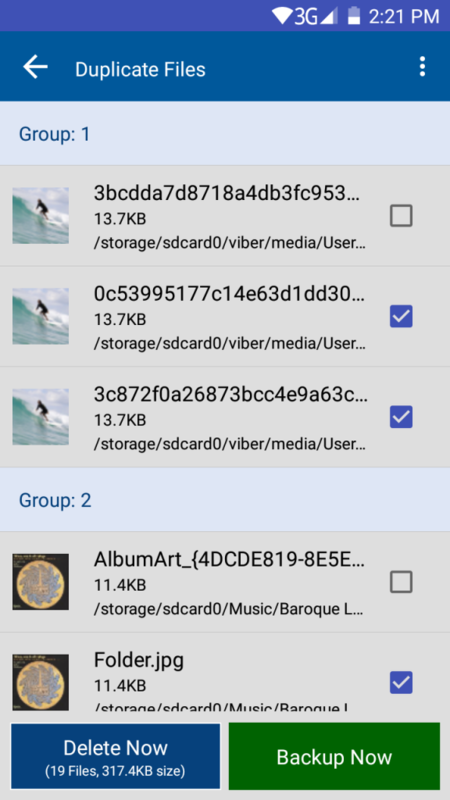 Duplicate Files Fixer is a decent app for managing duplicate files on your Android device. There are some things that the developer can improve. If you use the app with caution and carefully review files before you delete anything, it’s a great tool for saving space on your phone or tablet.